But what about when we play bad notes? What happens when a jazz player plays a wrong note, something that goes outside of the established rules? What happens when he or she intentionally goes outside the rules? This will be the subject of the next post. We’re looking at the inevitable situation: wrong notes will be played. So how does this work in the analogy of freedom in the Christian life? I’ve made another favtape for this post. It’s called Jazz: Wrong Notes, and you can use it as the soundtrack for this post. “Wrong” notes are meant to happen. These occur when the soloist decides to add tension, or dissonance, to their melody. Solists often color outside the lines to make the solo interesting. When going outside the correct boundaries, the soloist isn’t saying, “These wrong notes are really not wrong at all” but the “wrong” notes point all the more to which notes are right. “Wrong” notes are noticed as such and, if anything, give us a tension that makes us really want the resolution. It plays on our expectations on where home is. When we think the soloist is going home, playing a note that beautifully resolves, and the soloist goes somewhere else than a comfortable home, we feel it. We want to go home and anticipate where home might be. The tension that we were unexepectedly presented with doesn’t become the new home, but leads us there. Too much dissonance can end up with a fatigued ear on the part of a listener and with a lack of direction in the music. This is often intended by free jazz, as evidenced in Ornette Coleman’s “Science Fiction” on the favtape. Sometimes we need some right notes in there to give us direction, to have tension and resolution. Because without the resolution (or an implied resolution), tension ceases to exist as tension, it all becomes homogenous. But dissonance can be a great learning tool. Saying what Christianity is not can be very helpful in determining what Christianity is. Wrong notes are mistakes we make. Jazz is fundamentally a live music. Being a live music, wrong notes are made all the time. The soloist plays something that was supposed to sound smooth, but now sounds erratic or disjointed: just plain wrong. If the soloist chooses to keep going, these mistakes don’t have to end the music. The soloist still has the opportunity to make something beautiful out of the melody, though a wrong note has been played. Just as in our lives as believers, dissonance, our mistakes, do not end the song. The musicians don’t pick up and leave, but keep going. God doesn’t drop us the second we make a mistake- He might hit the next piano chord a little harder so that we can hear where the right notes are, or He might play the drums a bit more pronounced so that we can hear the tempo better, but He doesn’t stop playing. He keeps playing, continually inviting us to create something beautiful with Him, and our mistakes end up being part of the song. And even the best players make mistakes. Charlie Parker, Miles Davis, Dizzy Gillespie- these are jazz giants. And they made obvious mistakes on their recordings. But just because they make an occassional mistake does not discredit the melodies that came from their continual playing. So “wrong” notes and wrong notes are both going to occur. But the song keeps going, and we keep playing. And the more mature we get, the less wrong notes we use, and we will be able to use “wrong” notes in the right places, pointing ourselves and others to our home. 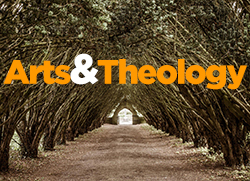 This entry was posted in writing and tagged arts & theology, creeds, improvisation, jazz, music by greg. Bookmark the permalink. Pingback: greg willson » Blog Archive » Creeds and Freedom or The Jazz Rhythm Section and the Soloist. I have no idea what you are talking about musically but it sure sounds a lot like life! Stacy, that’s a huge compliment! Proof that whatever it is makes some sort of sense in the real world is good enough for me.